Open wounds are nothing to mess with, and even minor ones need immediate attention if you are to prevent infection and further trouble. Neosporin and–interestingly enough–Vaseline are often used as first aid treatments for minor cuts and wounds, and it is these two that we compare in this article. Neosporin is an antibiotic ointment manufactured by Pfizer, which is used primarily to prevent infection and to hasten the healing of wounds. Neosporin contains three antibiotics in a petroleum jelly mixture, namely: bacitracin, neomycin, and polymyxin B. Other products with similar ingredients are Mycitracin and Topisporin. 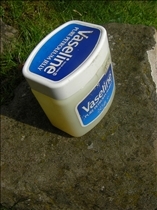 Vaseline is the brand name of a line of petroleum jelly products manufactured by Unilever. The product line includes plain petroleum jelly as well as skin creams, lotions, cleansers, deodorants and other personal care products. Neosporin is marketed as a "triple antibiotic ointment". In addition to the aforementioned Mycitracin and Topisporin, the same product is also sold as "Complex Polymyxin B Ointment" in China, where it is marketed by Zhejiang Reachall Pharmaceutical. There is also a product called Neosporin Plus Pain Relief, which has anesthetic pramoxine hydrochloride in addition to the other active ingredients. The term “Vaseline” was first used by Robert Chesebrough, who was the inventor of petroleum jelly. It was in 1859 that Chesebrough extracted petroleum jelly from an oilrig residue called "rod wax", which workers previously used for healing cuts and burns. Chesebrough got a patent for his invention in 1872. Neosporin is an antibacterial ointment that is commonly used to prevent the infection of open wounds. The ointment is also used to prevent the growth of bacteria at the site of infection. Some people may be allergic to Neosporin however, in which case they may be given polysporin instead. Some of these products may be marketed as "double antibiotic ointment", and these typically contain bacitracin and polysporin or some other type of polymyxin B.
Vaseline was first sold as a burn, cuts, and scrapes remedy, although it has since been shown to have no appreciable effect on blisters, nor is it absorbed into the skin. That being said, Vaseline does have some benefits with regard to speeding up the wound healing process, since it provides a sealing action that prevents bacteria from entering the wound. This action also keeps the surrounding area soft by sealing in moisture. Extracted from an oil rig residue called "rod wax"
Which one is used more often on minor scrapes? In nursing school we were told Vaseline was fat soluble and can hold bacteria . People think they got to have antibiotic. However, as we began to develop more and more resistant bacteria, years ago, I began recommending Vaseline instead of the antibacterials. However, that was with strict instructions to wash the wound with warm soap and water carefully first, not allow fingers in the Vaseline, and to apply it with Q-tips that haven't been exposed to touching either. I didn't notice any increase in my infections rates. I still use antibiotic creams in immunocompromised patients (diabetes, transplants, HIV, etc. ), for wounds that already had the appearance of infection and for more severe/deep wounds. 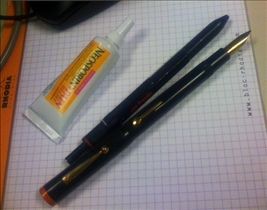 For minor cuts/scrapes, however, Vaseline is fine. In patients with infection already present, one study showed antibiotic to be about 3x more effective than Vaseline alone.The point of the Vaseline recommendation is to moisten the wound, which may provide a barrier to infection and improve wound healing/cosmesis. Dr. CH. Vaseline to keep the wound moist, from scabbing, One thought is we get too much antibiotics. Every doctor I have ever talked to about "neosporin" says not to use it. Without exception they tell me to use "polysporin".